Hi there, in this blog post we are going to talk about Operators. 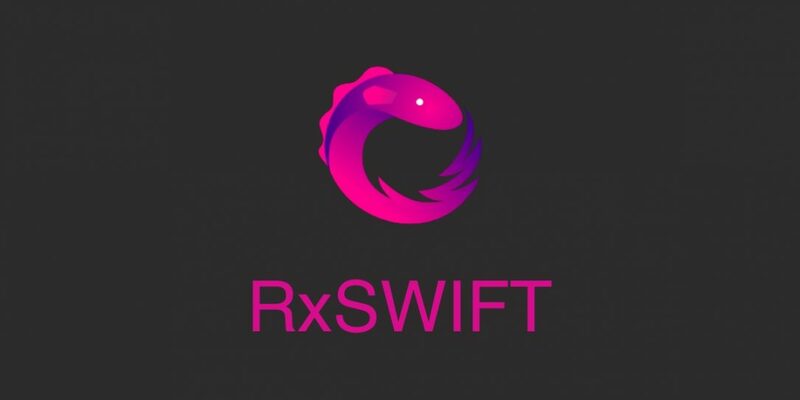 This is my third blog post about RxSwift(part 1, part 2) if you didn’t read them and suggest you to check them out. Swift higher-order functions are the most similar in functionality with Operations. Swift has default higher-order functions like map, flatMap, reduce, filter, and they work on top of collections like arrays, dictionaries, sets. But remember that we working with RxSwift, and in this case, those higher-order functions work with observable sequences. The default map operator transforms an array into the new array type, whereas RxSwift map operator transforms the observable sequence into new observable sequence type. So you can see they are similar. There are 3 main types of operators: Filtering, Transforming, Combining. Filtering operators allow you ignore or skip some elements from an observable sequence. Transforming operators help you to change types of observable sequence, as an example, you can have an observable sequence of button taps which you can transform to button tags. So, when the button gets tap your observable will return the buttons tag. And Combining operators allows you to merge multiple sequences into one sequence or help you compose sequences in a certain way, for example, you have 2 observable sequences and you want to get values of the sequence which emits some value first and don’t listen to other anymore. In this section RxMarbels will help you a lot, to get the visual understanding. So, go to rxmarbles.com and look at the left side, there you can see the section with the list of operators divided into sections. And in the middle of the screen, some observable sequences illustrated by right arrows with numbered circles on them. Numbered circles illustrate emitting values. Top arrows are input observables and resulting observable at the bottom. The next operator you often will be using is the distinctUntilChanged operator. It checks if the previously emitted value of an observable is equal to the new value, then it filters it. In this example, the observable emits 2 “!” symbols. But distinctUntilChanged operator filters second exclamation point. Hi , Ther There ! ? So as you can see, it skipped second “!”, and printed the next “?” symbol. But what if you want to take elements while sticking to some condition, and if the condition got violated your subscription won’t get any further events? The operator you need is the takeWhile operator, it takes some function that returns bool as an input value. And as you probably guessed it works similarly to take operator subscriptions get events while sticking to some condition, and if the condition gets violated, subscription won’t get any upcoming events. In this example, the condition is to take values until their value is more than 4. Don’t mistake this with filter operator. So once the emitted value more than 4, the subscription does not get any values from an observable, even if the next value stick with the condition. That’s the main difference between filter and takeWhile operators. And almost the same with skipWhile operator. There are more take and skip operators you can check out, so I advise you to go to RxSwift GitHub and download the playground it’s incredibly helpful. Those 3 embedded observables converted to one flat observable stream. If you look carefully at the result, you should notice that “these words” string appeared after “it”,”started”,”with” events, whereas in the statement we put it before them. So you need to keep in mind that startWith can be chained on a last-in-first-out basis. As you can see it printed all emitted events of both observables. In the example, stringSubject emitted 2 events before intSubject emitted any. But in the output, we can see that zipped observable sequence didn’t print any events until both observable sequences emitted events. And also it following the order events were emitted. And the last string “Won’t show up” event, did not print out, because there wasn’t any pair for that event at the time. It didn’t print out “A”, but it did print out the “Won’t show up” message. When we pushed “A” event, it didn’t have the pairing event for it, so it didn’t log it. Next “B” event gets pushed, but still no pair for that. And next second sequence pushes “1” event, and this time there is a pair for it, it is current event “B” of the first sequence. The second sequence pushed again and this time event “2”, it pairs with that same “B” event. And when the first sequence pushes “C” event, it gets paired with second sequence’s event “2”. And so on, you see the logic. Those examples demonstrated just as small part of the operators. So there more of them, and you need to learn them if you want to use RxSwift at its full power. But, as you can see the names of those operators are pretty self-explanatory. And if you want to learn more go to RxSwift GitHub repository. To get the visual understanding of operators check out RxMarbles.com. It was very helpful! Very good explanation.